Because learning hiragana and katakana is so important, there are a lot of different resources for doing so. You could use Jalup’s own Kana Conqueror. 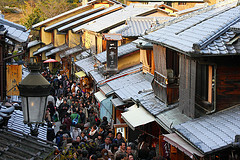 Or the three apps and eight songs that I shared previously. 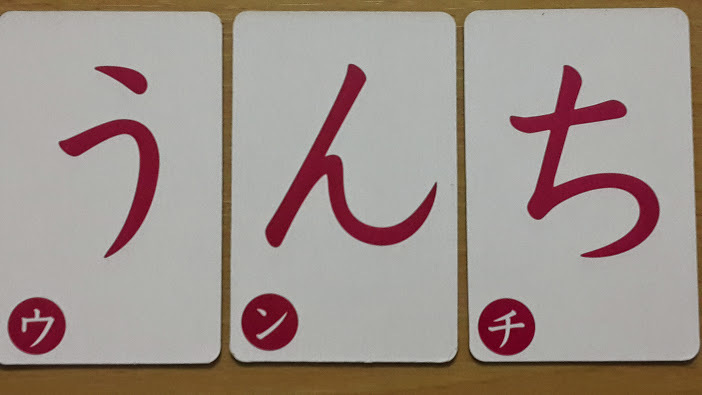 With these, anyone can master the kana with minimal (but consistent) effort. 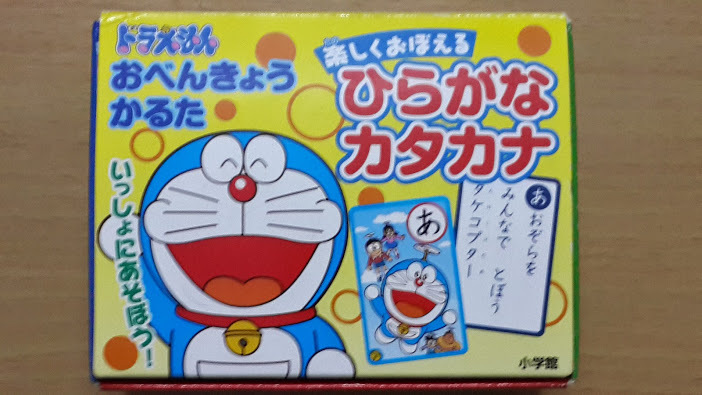 That’s all there is to the cards, and not that most kids need anything more than Doraemon to get excited about them, but just this much sets up a lot of learning and fun. 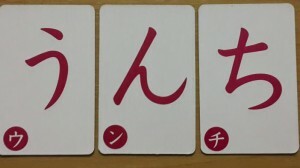 For example, kids can practice laying out all the cards in the correct order (following an image that comes with the set), practice writing the kana by tracing each character with their fingers, or turning all the cards over and matching the katakana and hiragana characters (as fast as they can). Such games have a limited life-span, at least in my experience, and it’s probably best to do them while the cards are new. But there are more games after that—and games that are more interesting too. Probably the best way to play with these cards, however, is caruta-style. 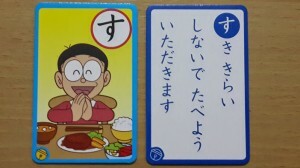 Simply lay out a handful of the cards with pictures and then read one of the sentences on the matching cards. This requires the player to listen closely for the character that started the sentence—or for the picture that the sentence depicts—and then find and grab that card (before anyone else). 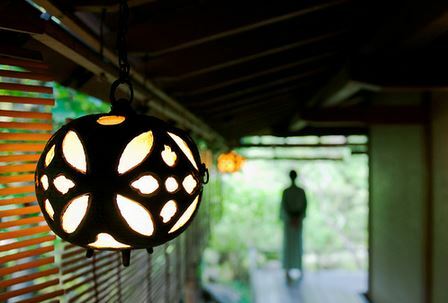 You can do this with just a few cards at a time, or them all, depending age and experience. It’s also obviously more fun with more people playing—so I could easily see this being a good resource for classroom teachers. As a resource for self-studying, it has some obvious drawbacks. Somebody has to read the cards after all. 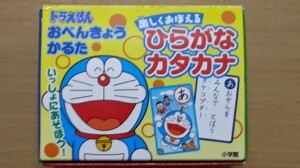 It also doesn’t come with the quotation marks or circles that change the sound of kana in a lot of words. But these last can be created with a little work and for anyone teaching hiragana and katakana, or anyone with access to someone who speaks Japanese, this set of cards is very useful. 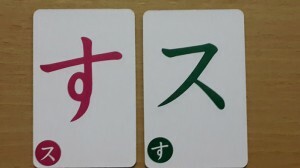 These cards turn the challenge of learning kana into an enjoyable experience. In that way, they’re kind of like a gadget from the future that you can use today.